Beautiful vintage style dress! Figure flattering lace bodice! 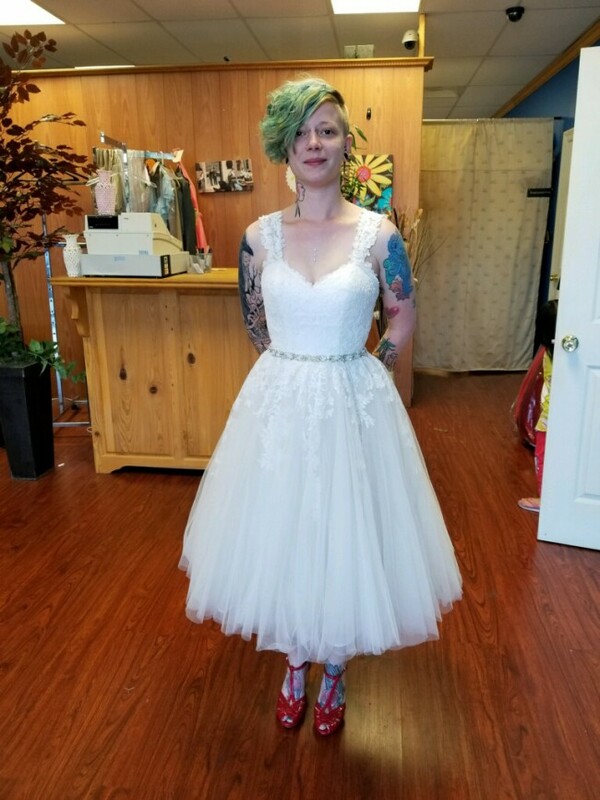 Dress was originally a tea length...I'm 5'4 and had it altered to hit right below the knee. Straps were added but can easily be removed for a strapless dress. Length altered, straps added, and bodice taken in slightly. Straps are removable and bodice seems can be let out.